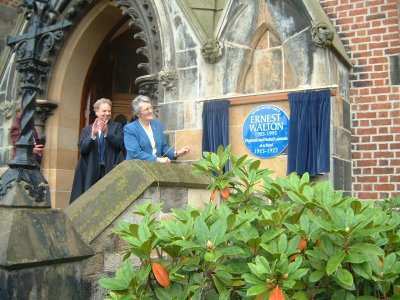 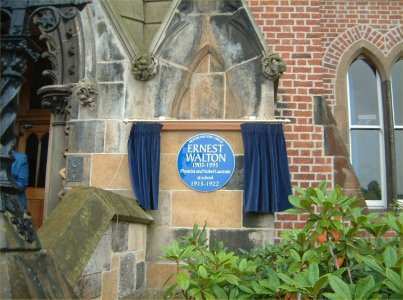 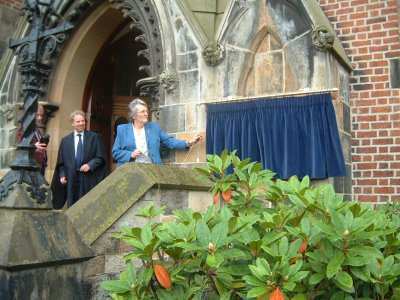 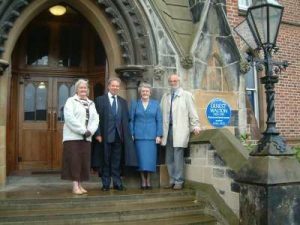 At major Conference in Methodist College, Belfast, in honour of his life and achievements, a Blue Plaque to Ernest Walton, was unveiled by his daughter Marion. 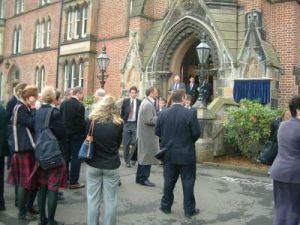 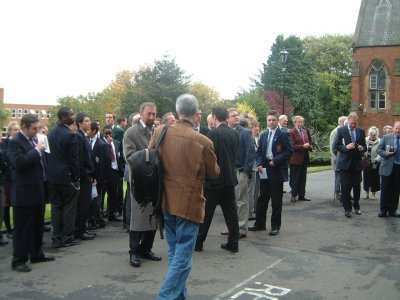 Here some of the guests gather at the front entrance for the event. Marion Walton unveils the Plaque, rather hurriedly, unfortunately, as the weather suddenly turned nasty, showering the guests with a chilly rain.